For some wax enthusiasts the best finish you can achieve is super wet finish with endless depth. Amazing colour of jar, matches the national flag. Mexico has many options and kits, however, the standard 200ml glass jar is a glossy green, the wax is red with an image of the national flag on the jar. Each country wax features the flag of the country so that is easy to identify. The 100ml jar is a heavy base frosted jar and includes the blue wax. Please not this jar is not coloured. As with all waxes at Mitchell and King, we will use the Royal Mail network within UK. 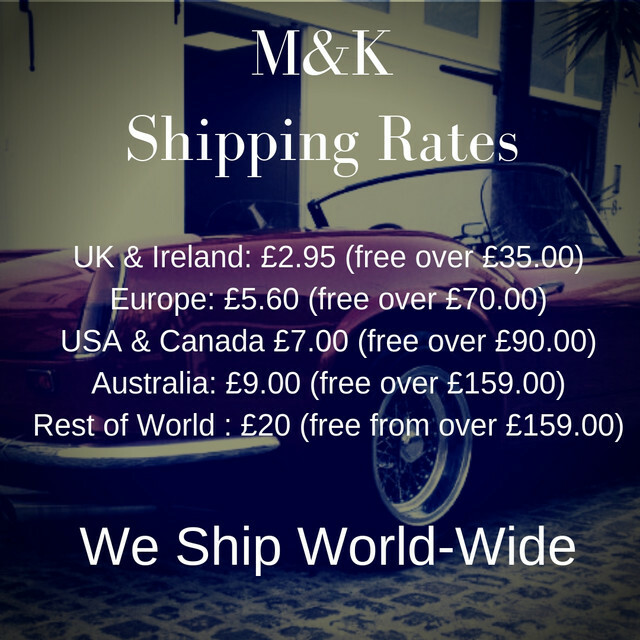 UPS elsewhere, If you have any specific questions please email logisitics@mitchellandking.co.uk and we will assist you.